David Le/Gloucester Daily Times. 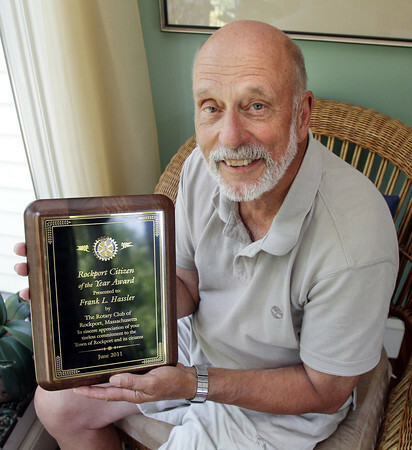 Rockport "Citizen of the Year" recipient, Frank Hassler, displays the plaque awarded to him in his Rockport home on Monday afternoon. 7/11/11.